I didn't go back and watch replays, but I thought Tocho got torchoed for two touchdowns, including one really awful misplay on the wheel route. Nice pick of Chad Kelly though. I don't think so. He was just rated a 90 by PFF. He really played well. I'd be curious who PFF is saying was responsible for those TD's if they're giving him a 90. On the wheel route, it sure looked like him. The only other defender within 20 yards was Holton Hill but he looked like he was covering the receiver. The second was the seam route TD by Kelly(?) later in the game (before Tocho's int). Tocho was the guy in coverage again. Unless his pass defense and int offset those plays in their rating? I don't really know how they weight things. He was very hot and cold in my eyes. Has decent ball skills, which as a converted corner isn't surprising but he did have some pretty big lapses. It will be tough to make the squad unless Kease's injury keeps him out for a while. Im going to go back and watch those plays. Despite those he was involved in lots of tackles early in the game as well as several breakups. The INT probably helped push him over the top. I was impressed by his play. But I'll take a 3rd look. Ok. I looked at the play that gave them 21 pt. Looks like it was Man on the outside with a LB and Saftey in zone. Tocho flashed to the flats along with another LB (Confusion). The middle LB looks lost (he turns his back to the QB). Tocho is absolutely late in reading the move to the flats, he hesitate like he was expecting a pick play, and he locks on to the QB causing him to loses his man as the TE turns upfield. The rest is 6 points. Definitely on him. To be fair, Adam didn't have a catch either. Yes, Laquon played more snaps but I'm guessing Kirk has a better trust with Treadwell than the 2nd and 3rd string QBs . I've also read that Treadwell was open a few times, the td play to diggs for example. I think he's going to have a good year. I agree with your point about Theilen. However, I also think Theilen has nothing to prove in the preseason so it's not crucial for him to have catches. Treadwell on the other hand has a lot to prove for himself so I hope he can get it going in the preseason. Was a good game. Cousins was hot, he and Diggs look great together. Theilen wasnt in long enough to get many touches, I hope he gets a little more play time with Cousins in the next few pre season games. Treadwell had one more catch then I thought he would have. The Oline played well throughout the game. That was nice to see. I think last year Murray's foot hurt a lot more then we new. Hes like a different RB so far this year. He and Cook could do a lot of damage now that we should have a first class QB. The D looked good, but then it was the Broncos. I hope Case has a fantastic year. And yet ... PFF rated his play at 90. This is my issue with PFF. They leave me scratching my head. Nice analysis. You should work for them. 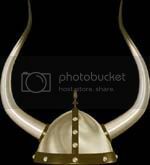 I've been listening to all the Vikings podcasts the past few weeks. Coaches and teammates alike have all said the same thing about Hughes ... they're really impressed at his ability to be learning, learning, learning, yet still play fast. He processes information and turns it into action almost instantly. They all say it's very impressive, especially given the complexity of the Vikings defense, and the fact that he's a rookie. Looks like we might have a good one here. I like PFF but I know sometimes they are way off. Sometimes they seem to hit before others realize. 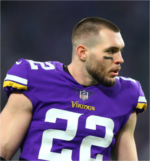 For example, Harrison Smith. They had him pegged as a top Safety well before the national media knew his name.